Mystery Fanfare: E.L. Doctorow: R.I.P. 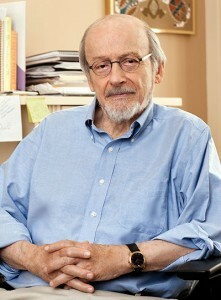 E. L. Doctorow, a leading figure in contemporary American letters whose popular, critically admired and award-winning novels — including “Ragtime,” “Billy Bathgate” and “The March” — situated fictional characters in recognizable historical contexts, among identifiable historical figures and often within unconventional narrative forms, died on Tuesday in Manhattan. He was 84 and lived in Manhattan and Sag Harbor, N.Y. The cause was complications from lung cancer, his son, Richard, said. The author of a dozen novels, three volumes of short fiction and a stage drama, as well as essays and commentary on literature and politics, Mr. Doctorow was widely lauded for the originality, versatility and audacity of his imagination. Subtly subversive in his fiction — less so in his left-wing political writing — he consistently upended expectations with a cocktail of fiction and fact, remixed in book after book; with clever and substantive manipulations of popular genres like the Western and the detective story; and with his myriad storytelling strategies. Deploying, in different books, the unreliable narrator, the stream-of-consciousness narrator, the omniscient narrator and multiple narrators, Mr. Doctorow was one of contemporary fiction’s most restless experimenters. Read the rest of the NYT Obituary HERE. In 2013 the American Academy of Arts and Letters awarded him the Gold Medal for Fiction.